When you're in a bind, tow hooks can save your behind. Or you can use them to save someone else's. 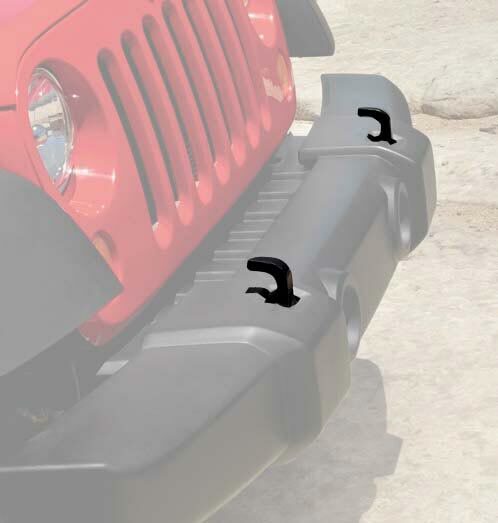 Especially when venturing off road, tow hooks are a good idea, and these can be installed front or rear on your Jeep Wrangler. The two-hook front set can tow up to 5,500 pounds. 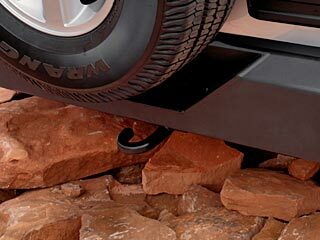 The single rear tow hook can pull 4,000 pounds. 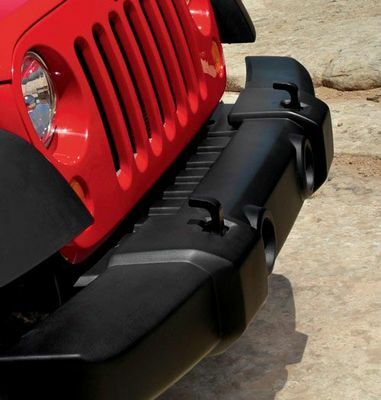 The front set comes with a template to cut spaces in the plastic bumper.